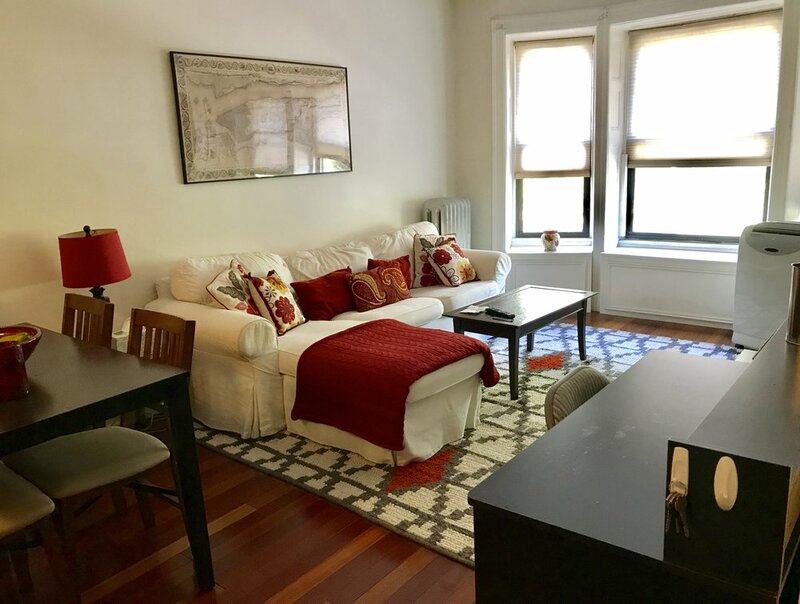 Beautiful, renovated fully furnished studio directly across from Morningside Park, within a 10 minute walk to Columbia U. and just 3 blocks from the B/C subway. Gorgeous Historic Detail - One Bedroom with a full view of Morningside Park. Hardwood Floors, custom kitchen with washer/dryer combo, microwave etc. Our largest space is a full floor one bedroom apartment with views onto the park and the rear yard. Everything you would need to be more than comfortable in NYC.